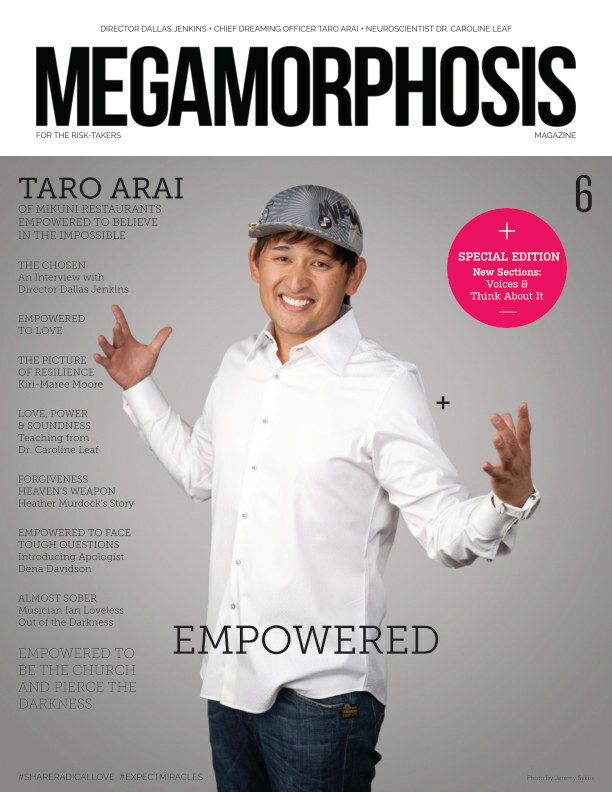 Megamorphosis Magazine is a kingdom leadership magazine. Our readers, writers and the people we feature are risk-takers changing lives, shaking things up and defying status-quo Christianity. We would describe them as passionate Believers rejecting the norm and pursuing the extraordinary expression of Christianity. We are risk-takers and Kingdom revolutionaries and we will not hold back. Miracles are coming.